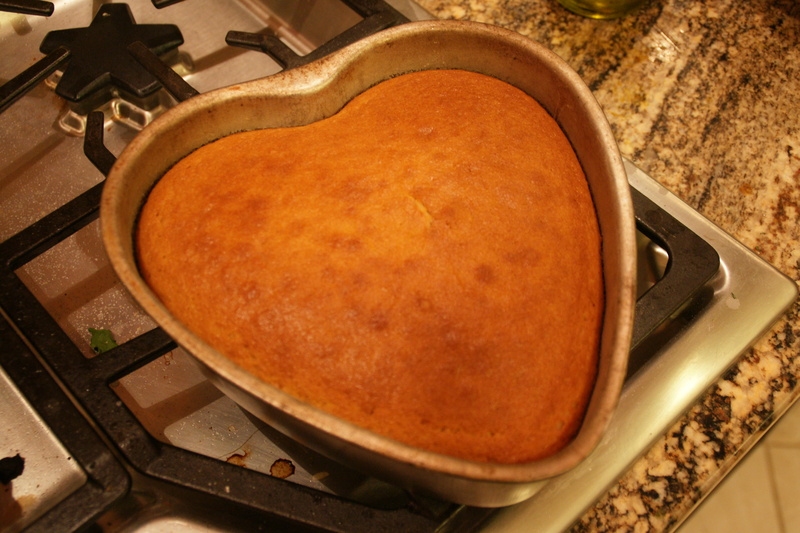 My Vanilla Buttermilk Heart-Shaped Birthday Cake – How Cute Is That? Each member of my family picks their birthday cake, and the sky’s the limit. My son Ken likes a vanilla cake with milk chocolate frosting or a chocolate cake with fudgy frosting. My husband, until I made my first red velvet cake for the family, held fast to a cake I made for him eons ago– an orange walnut cake with cream cheese frosting flavored with fresh orange juice. Tthe cake is made with ground walnuts in the batter and chopped walnuts between the three layers; it’s moist with a sweetness reminiscent of carrot cake. Now he asks for my red velvet cake because the frosting is made with both whipped cream and mascarpone cheese. My mother, the meringue aficionado, gets a truffle-like dark chocolate cake topped with a meringue loaded with hazelnuts. The meringue is crunchy along the top and sides and chewy on the inside; she LOVES it! As for me, I’m pretty basic; no layers of golden genoise infused with a liqueur-flavored sugar syrup, no fancy French buttercream or ganache. I have made those kinds of cakes– even sandwiched the genoise layers between crunchy dacquoise–, but they are serious overkill for me. I think this year I’ll make myself a vanilla buttermilk cake; I’m not even sure I’ll frost it since I am working towards a healthier me. I’ve only used buttermilk in chocolate cakes to keep them moist, but I found a recipe from Nigella Lawson for a buttermilk birthday cake. Works for me. 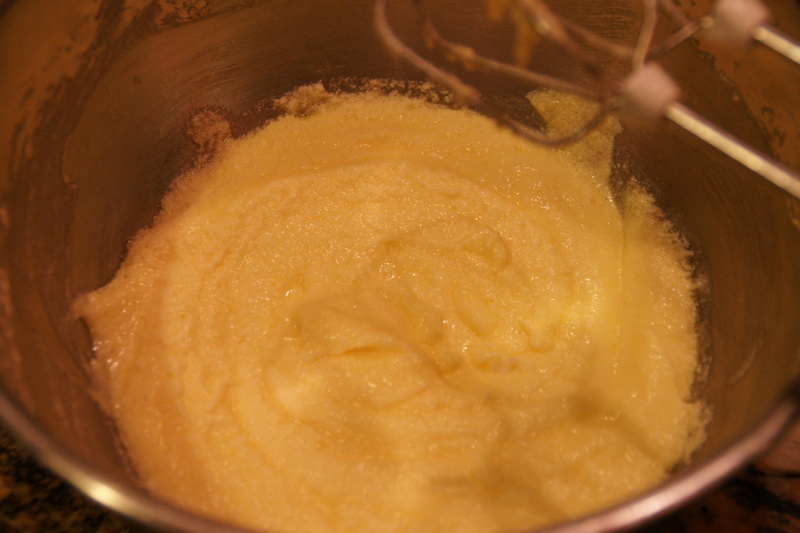 It’s made using the basic creaming method– cream butter and sugar, then alternate liquids with dry. You can make it in one pan or two; I read that the batter takes easily to cake molds which reminded me of the half dozen Wilton character pans I used for Ken’s early birthdays. 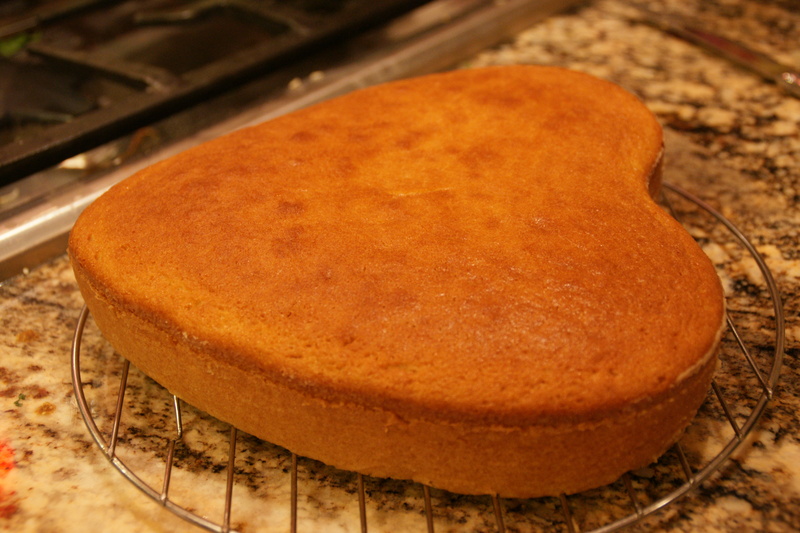 In those days, I used Duncan Hines golden butter cake mix because I was working full-time! 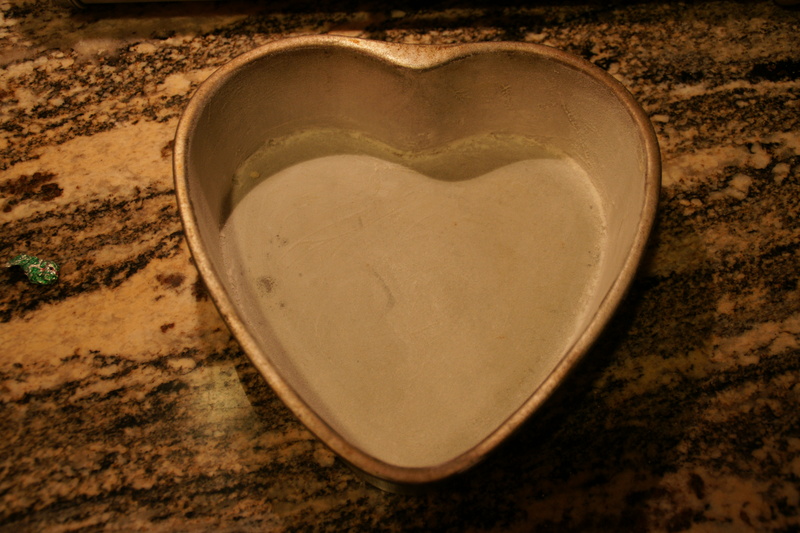 I found an old heart-shaped cake pan (for one of those genoise-layers-stuffed-between-dacquiose cakes I used to make in the 80’s). I figured I’d use it for my cake; the fancy shape meant “birthday special” and I could just dust it with powdered sugar and still stick candles in it! Although it’s a Nigella recipe, I found it on another blog; you can find it here. Preheat the oven to 350 degrees. Grease and flour two 8 inch round cake pans; I used a heart-shaped tin that was about 3 inches deep. Prepare the wet and dry ingredients. Measure the flour, baking powder and salt into a bowl. Whisk and set aside. 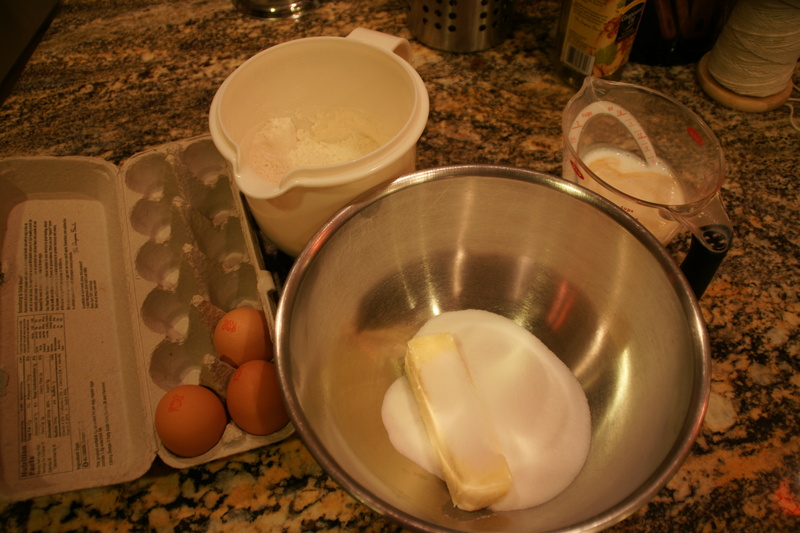 Measure the buttermilk in a measuring cup and add the vanilla; whisk to combine and set aside. Uncomplicated and easy– like all Nigella’s recipes! 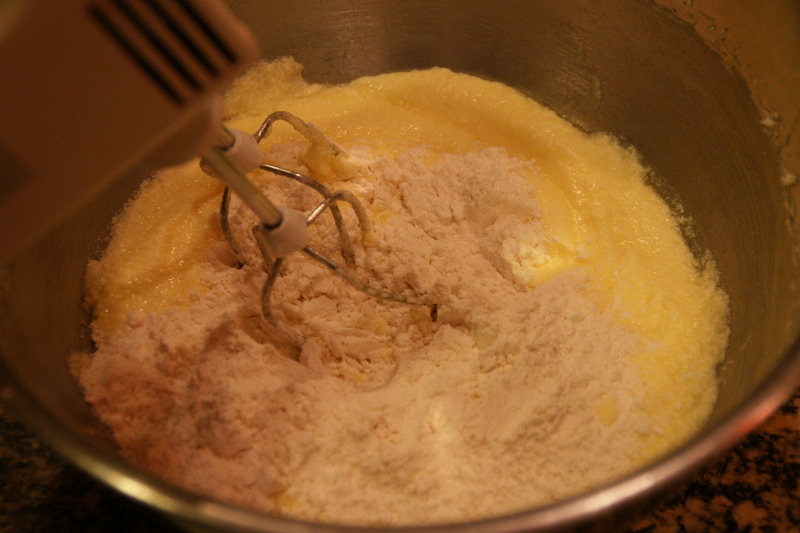 Add eggs one at a time, beating well after each addition until egg is fully incorporated into the batter. Starting and ending with the flour (dry ingredients), alternate adding the dry and wet (buttermilk/vanilla) into the sugar/egg mixture. 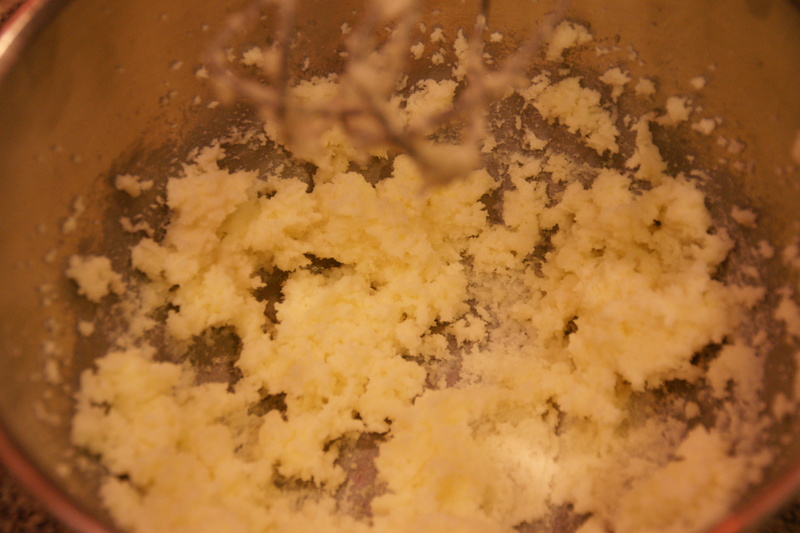 It’s easiest to do the flour in the three batches and the buttermilk in two, e.g., flour, milk, flour, milk, flour. Don’t worry if you don’t have equally sized batches. The important thing is to alternate between wet and dry, and to begin and end with the dry. Start and end with flour! Pour the batter into the pan and bake for 30 minutes if layers, 40 minutes if a single pan. Cake is done when a cake tester comes out clean (no crumbs attached) and the cake has begun to shrink from the sides of the pan. Let cake cool in the pan for a few minutes, then run a knife around the edges to loosen the cake and unmold it onto a wire rack to cool. I’ll let you know tomorrow if I decorated it, and how it tastes!